Hi everyone! 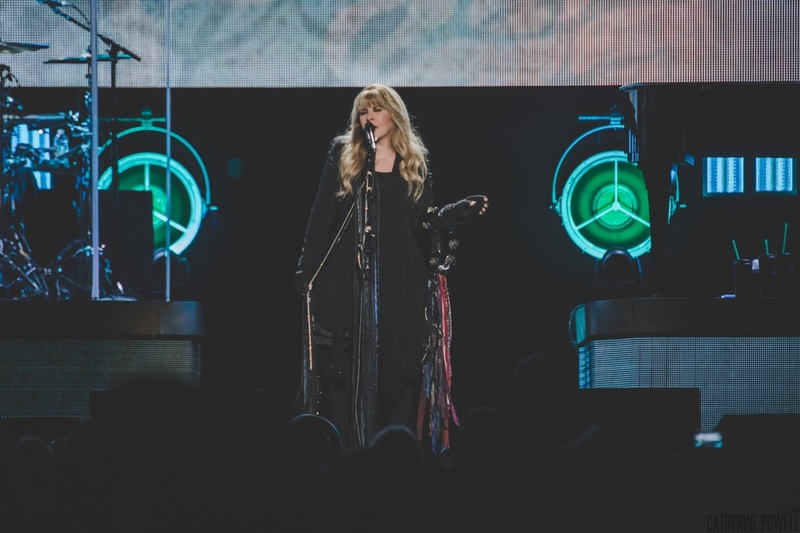 I just wanted to let you know that there is a front row center ticket available for tonight's show at the Nassau Coliseum. My friend has the ticket and cannot make it. I realize this is super last minute but just let me know if you are interested. Thank you! Last edited by SisterNightroad : 04-07-2017 at 01:53 PM. Last edited by SisterNightroad : 04-15-2017 at 05:27 AM. 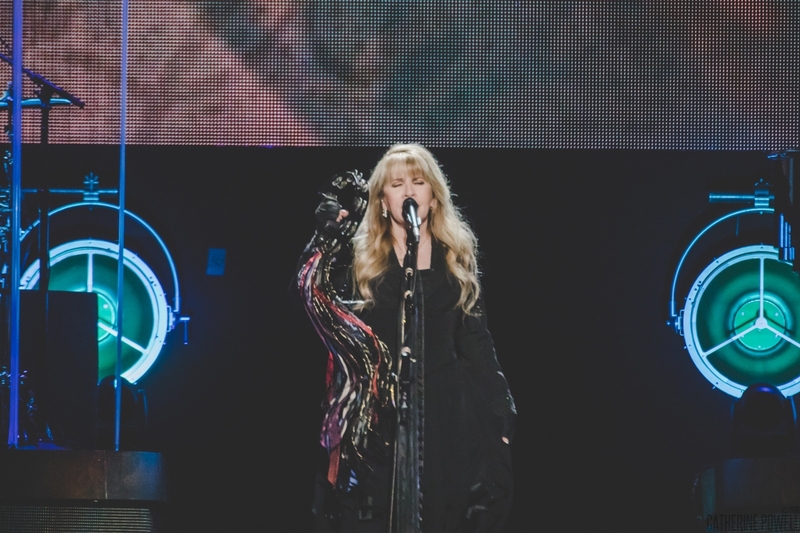 Everyone leaps to their feet as Stevie Nicks arrives on stage. This is the last stop for the 24K Gold North American tour. Nicks invites everyone to go on the journey with her. 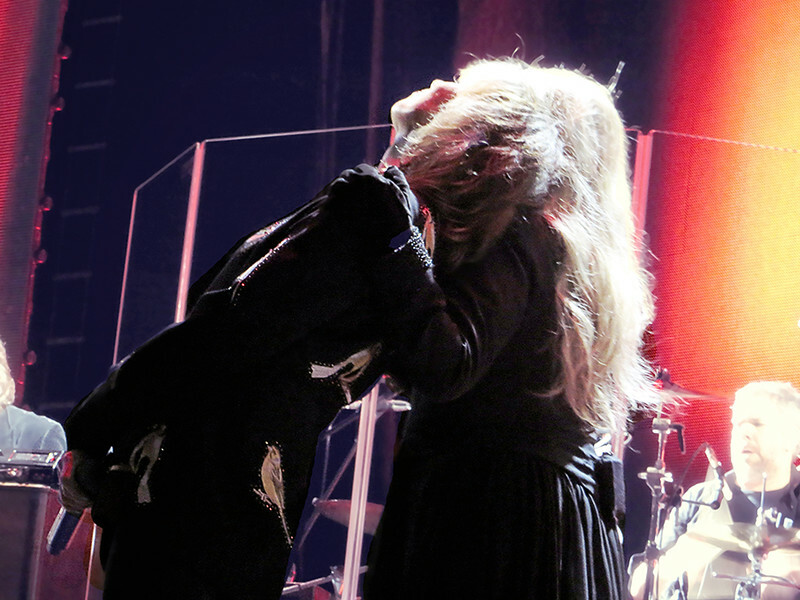 Hynde leans on Nicks as she joins her to sing “Stop Dragging My Heart Around” one last time. Last edited by SisterNightroad : 04-08-2017 at 02:39 PM. 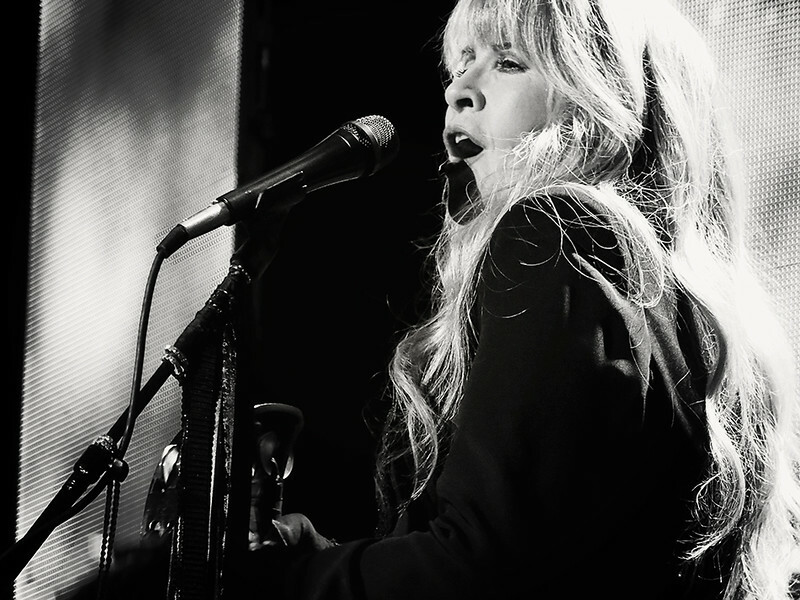 Nicks closes out the tour by introducing her last encore “Landslide.” Written in Aspen in 1973, she said this song took them to the top. 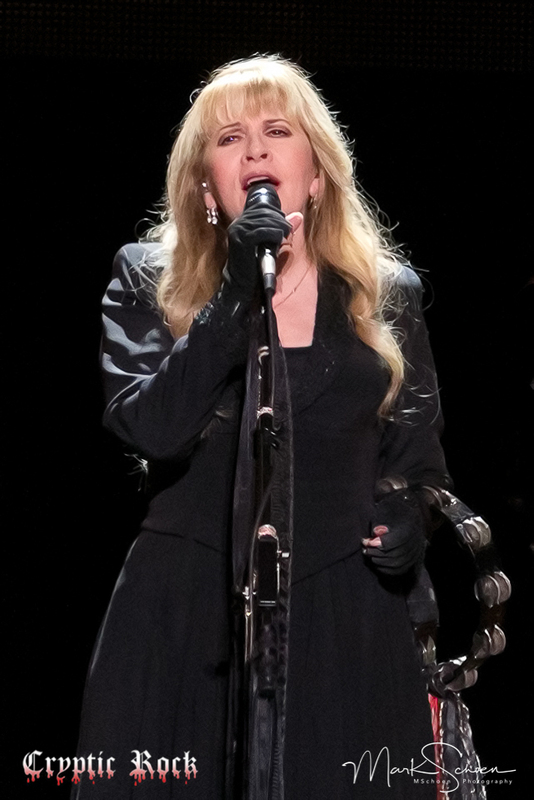 Tonight, she dedicates it to the audience and the audience returns the gesture by having the loudest sing along I have heard. Last edited by SisterNightroad : 04-08-2017 at 02:38 PM. 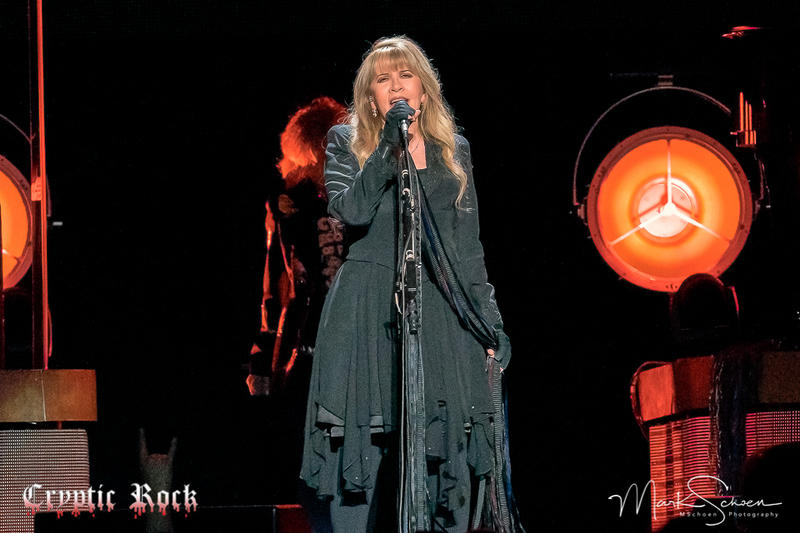 The legendary Stevie Nicks with The Pretenders live @ Nassau Coliseum on 4.6.2017. Last edited by SisterNightroad : 04-09-2017 at 06:16 AM. Wow....in spite of the shadow on her mouth, I really love this photo! Filling the seats and anxious to get the fun started, just after 7:30 PM, The Pretenders were set to begin. 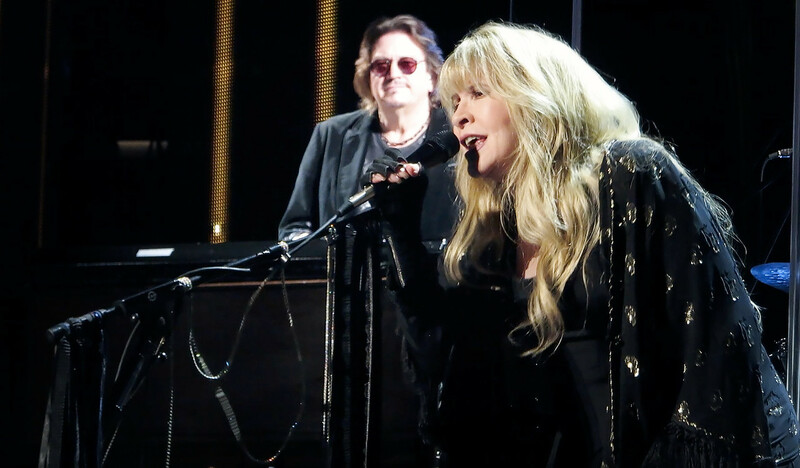 Initially come together back in 1978, through the years the band has seen their share of changes, but through it all, found their way to the top with six consecutive top-selling records between 1980’s self-titled debut and 1994’s Last of the Independents. 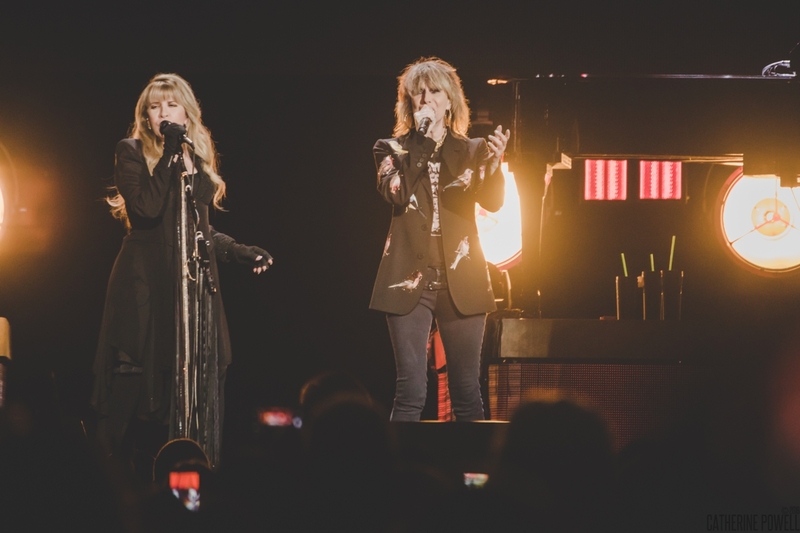 Often considered an important part of the New Wave movement of the ’80s era, The Pretenders’ sound combined Classic Rock, Punk attitude, and Pop sensibility, helping pave the way for the Alternative Rock movement. 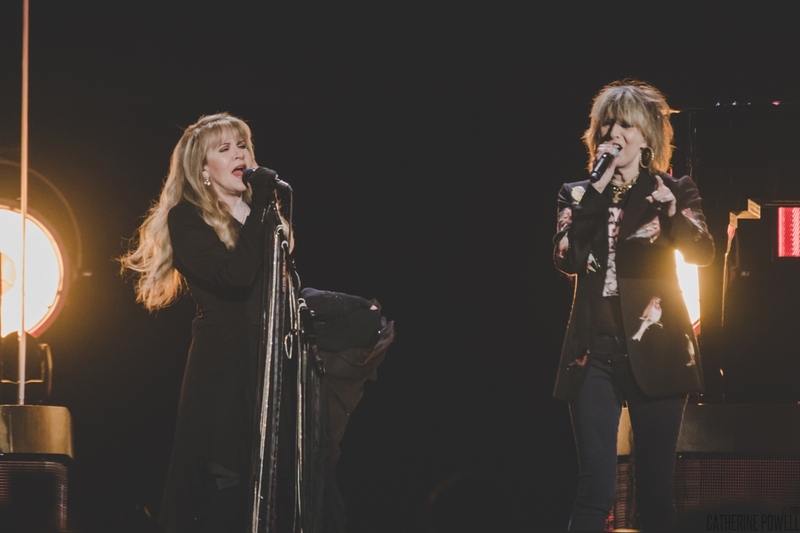 Members of the Rock and Roll Hall of Fame since 2005, sustaining several personal changes over time, at the center has always been Guitarist/Vocalist Chrissie Hynde and English Drummer Martin Chambers. Now with Guitarist James Walbourne, Rockabilly-looking Bassist Nick Wilkinson, and Pedal Steel Player Eric Heywood, The Pretenders were ready to rock. 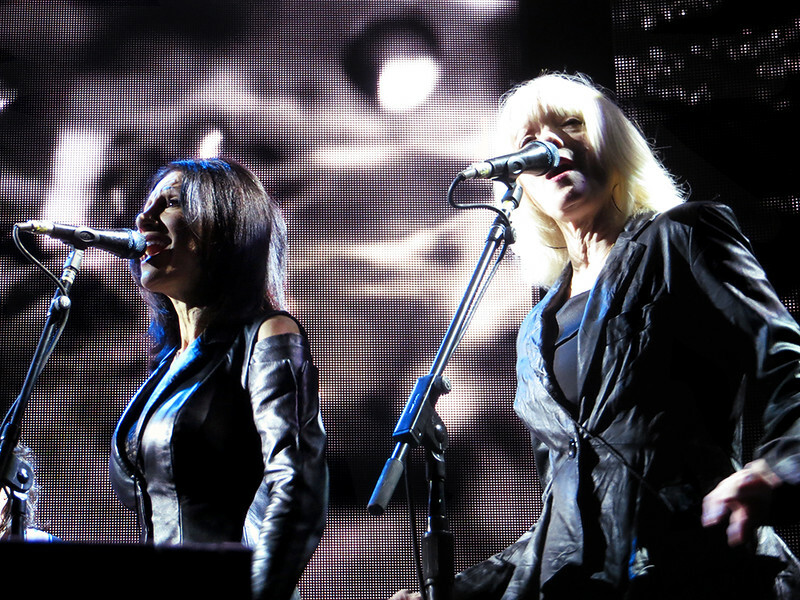 Continuing to keep the energy high, despite it being an arena, Hynde admitted the feeling was much more intimate for her as they continued with their cover of The Kinks’ “Stop Your Sobbing.” Keeping with that personal sentiment, they moved forward to ’90s hit “I’ll Stand By You,” inspiring many to sing along. 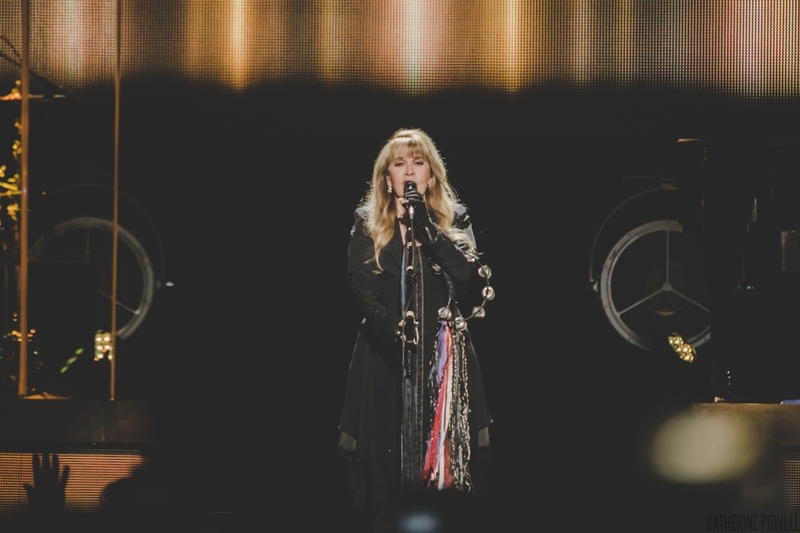 Unfortunately again, the importance to grab some cell phone pictures or video became a priority for many patron as Hynde made one of her final pleads for people to live in the now, but in this world we live in, it fell on deaf ears. Nonetheless, the show continued on and Hynde and company jammed flawless into hit after hit including “Don’t Get Me Wrong,” the addictive bass driven “My City Was Gone,” danceable “Mystery Achievement,” and “Middle of the Road.” Feeling like a jukebox filled with everyone’s favorite Pretenders tunes, it all came to a head when the band closed out with “Brass in Pocket,” to a standing ovation. 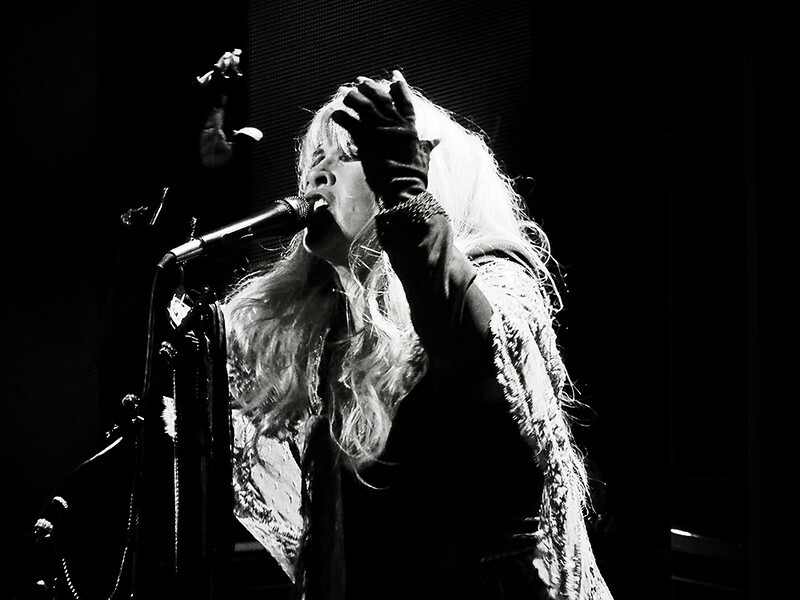 Beaming with Rock-n-Roll flair, Hynde looks and sounds fantastic. Couple that with her band’s energy, no inconsiderate spectator eager to take a meaningless photo could ruin this show. 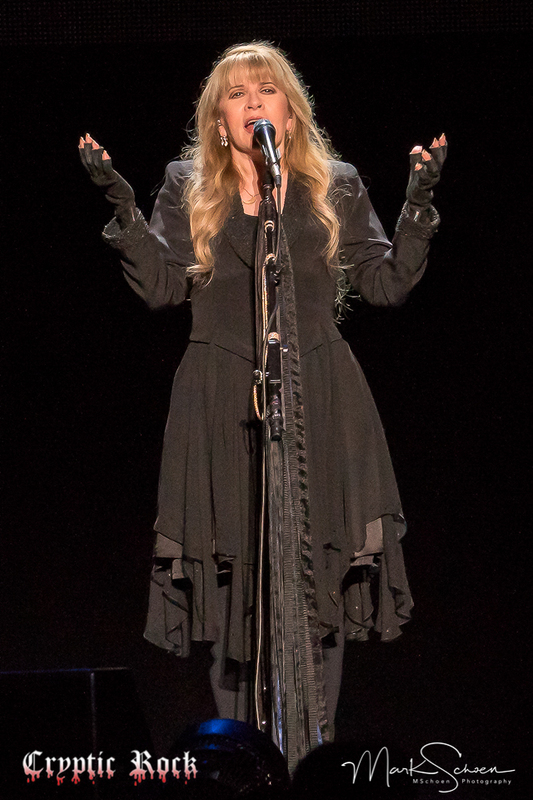 With the intermission begun, the venue began to fill out even more as late arrivers shuffled in to find their seats, including a handful of ladies dressed in similar garments as Ms. Nicks. 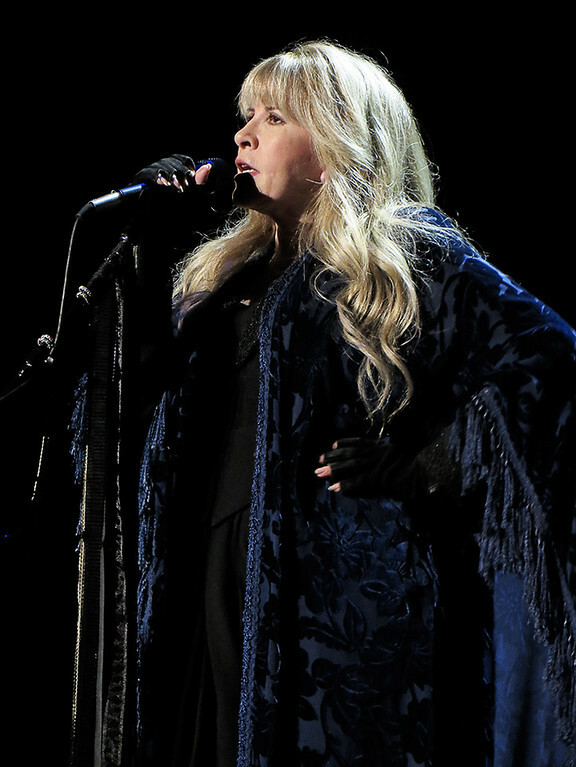 Certainly a trendsetter with her wardrobe and detailed make-up, the allure of Nicks is quite endearing. 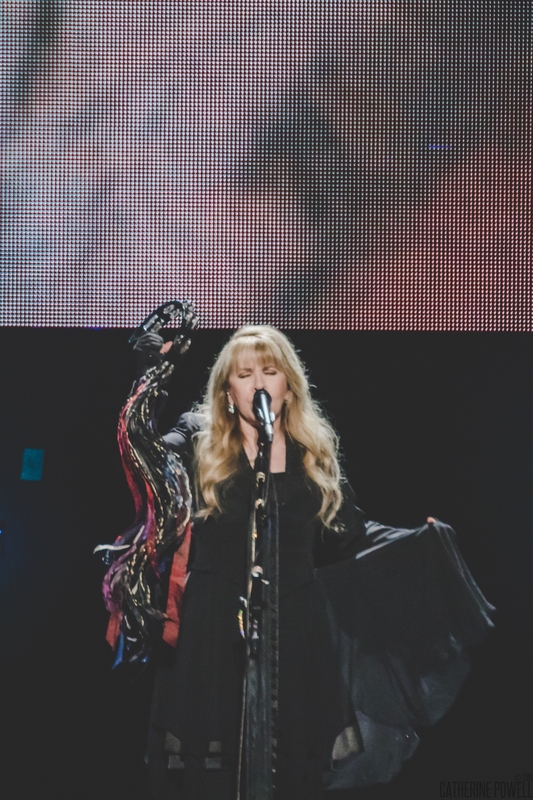 Unifying her image with her mystical lyrics and voice, Nicks interjected a new dynamic to Fleetwood Mac that made a tremendous impact on her 1975 debut with the band and the all-time great album, 1977’s Rumours. 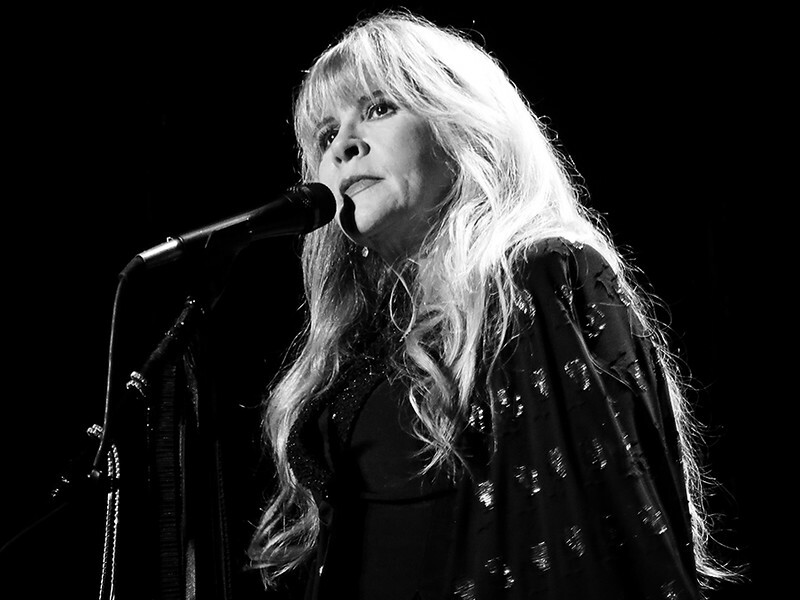 Forty years since she joined up with Fleetwood Mac, Nicks has also enjoyed a strong solo career, begun with her 1981’s Bella Donna. 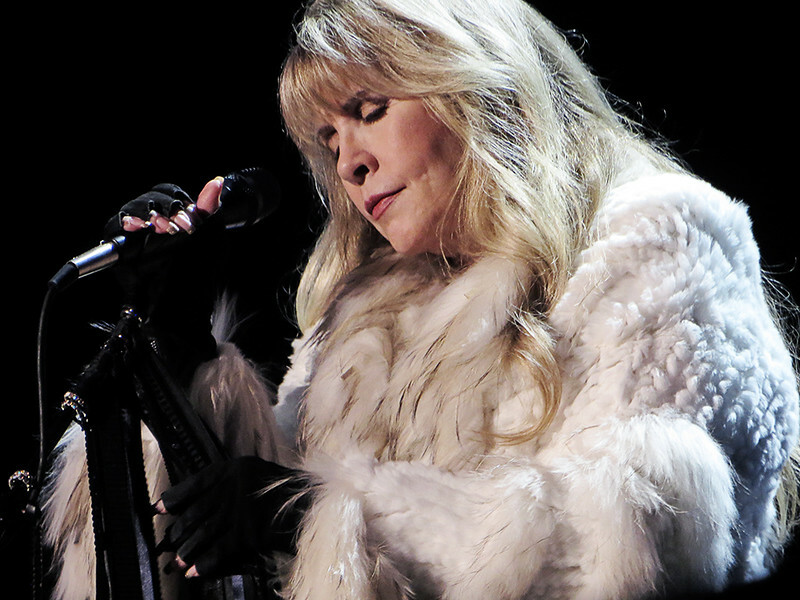 Proving she can make hit records on her own, still, Nicks has so many pieces of music that have yet to be published. 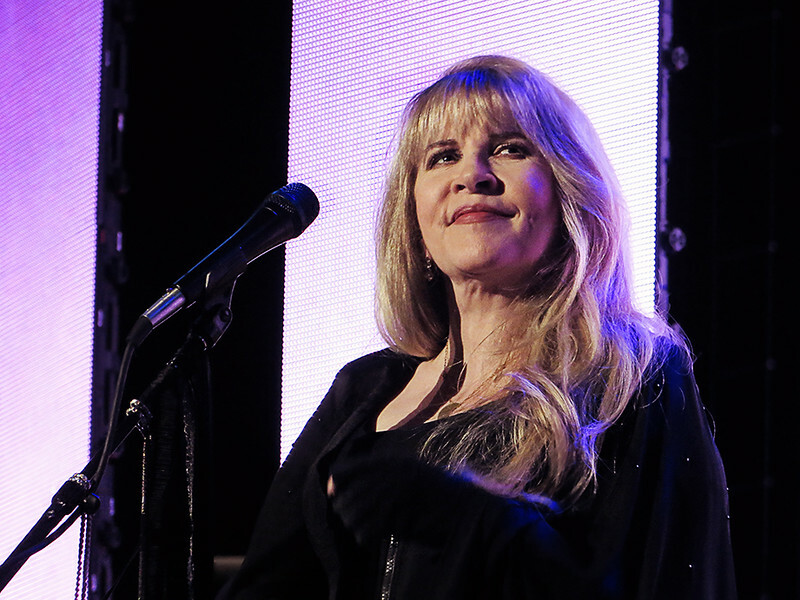 Hence,the release of 2014’s 24 Karat Gold: Songs from the Vault – a collection of hidden Nicks’ treasure, that for one reason or another, never made it onto previous albums. Rightfully proud of these songs, Nicks and her band – Waddy Wachtel (guitar, musical director), Ricky Peterson (organ/keyboards), Carlos Rios (guitar), Al Ortiz (bass), Darrel Smith (piano), Drew Hester (drums), as well as Sharon Celani (background vocals) and Marilyn Martin (background vocals) – were ready to bring the music of the past to live one last night together. Signaling the set was ready to go, Missing Persons’ “Destination Unknown” filled the air before the band walked onto the stage. 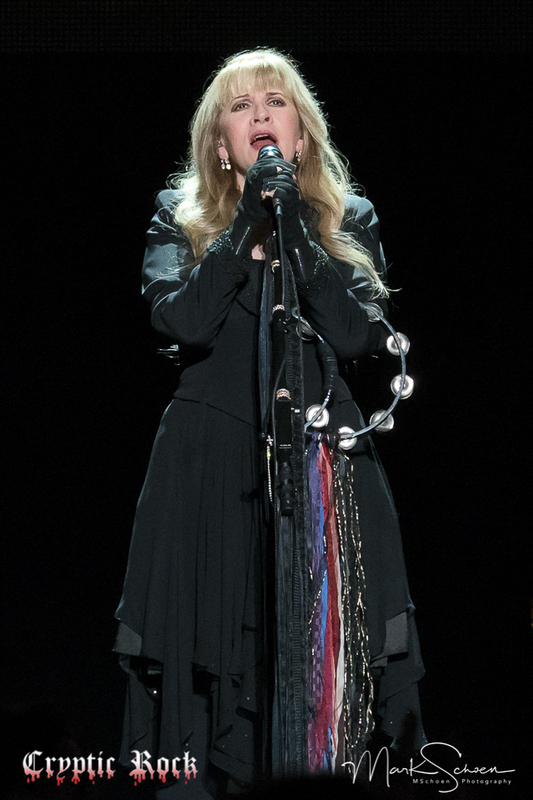 Taking their places, Nicks followed, draped in her usual exquisite attire as they cast off with “Gold and Braid” and “If Anyone Falls.” Both songs from her first and second LPs, Nicks took a minute to address the crowd, expressing enthusiasm about her return to Nassau Coliseum, a location she has visited many times through the years. 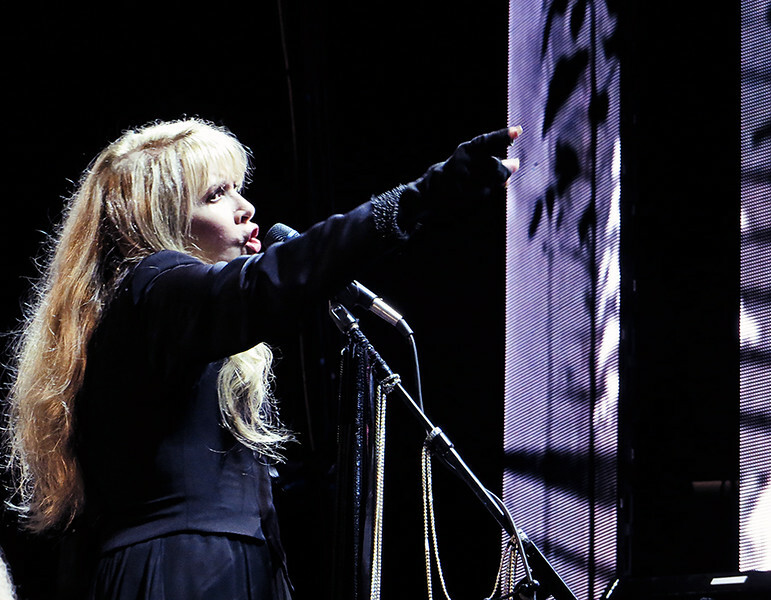 From here, Nicks made it clear the night would not be an average concert, stating the song selection will be a mixture of many well known, and others not so much. 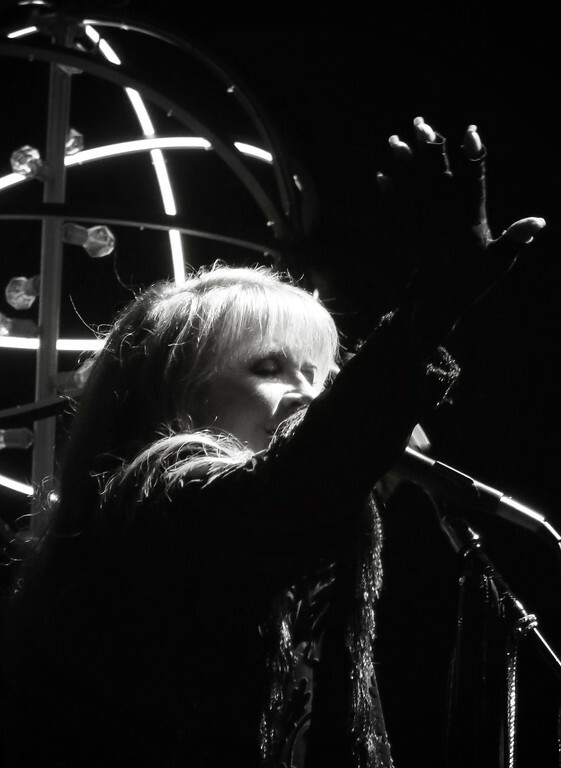 A retrospective look at her body of work as an artist, Nicks opened herself up in vulnerable fashion, confessing it would be a much more intimate, storytelling experience. Prepared for the plan Nicks laid out, everyone settled back and enjoyed the the recollection first-hand from the creator who experienced them. 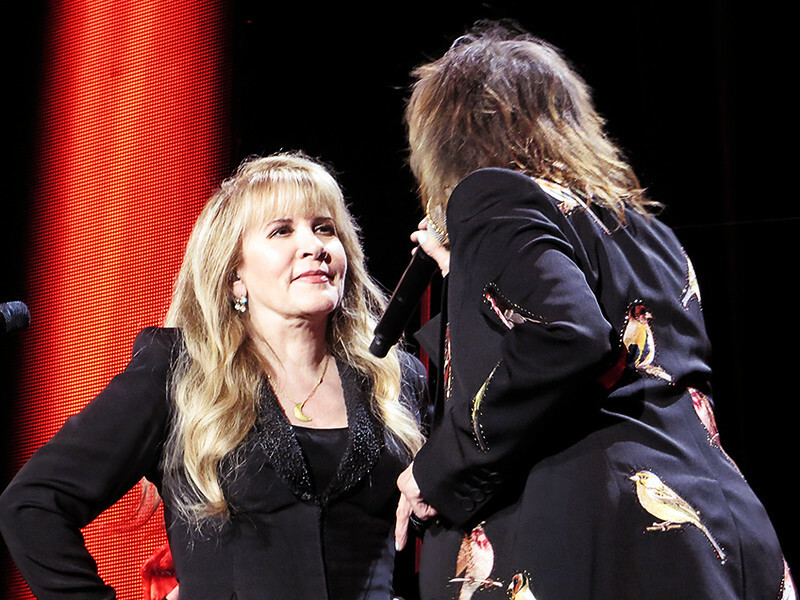 That in mind, the music was lavish and colorful as she went into her Tom Petty collaborative hit, “Stop Draggin’ My Heart Around.” Already a highlight early on, Nicks called out Hynde to join her in singing the track before waving on the rest of The Pretenders to the stage. 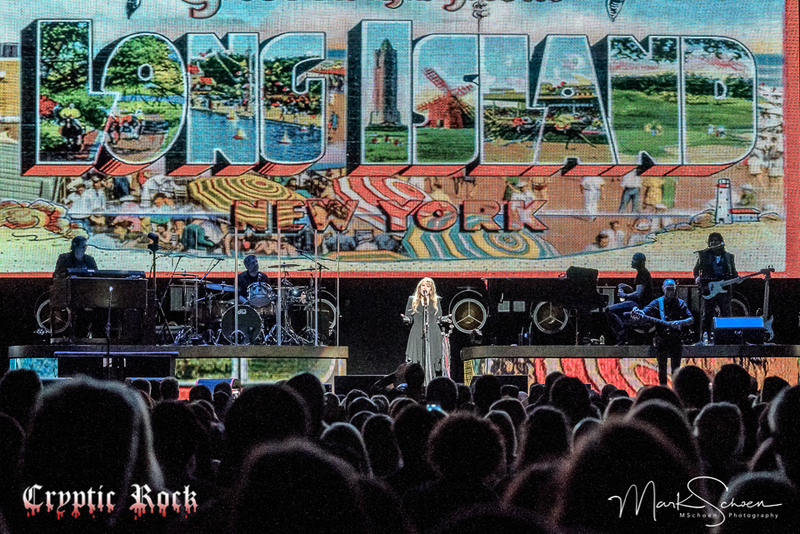 A final goodbye between tourmates that usually takes place in a more private setting, Hynde and company were set to fly out to the UK, so thousands of fans were given the chance to see the love these musicians have for one another as they bid farewell and proclaimed the 24 Karat Gold run was one of the best tours they have ever been a part of. 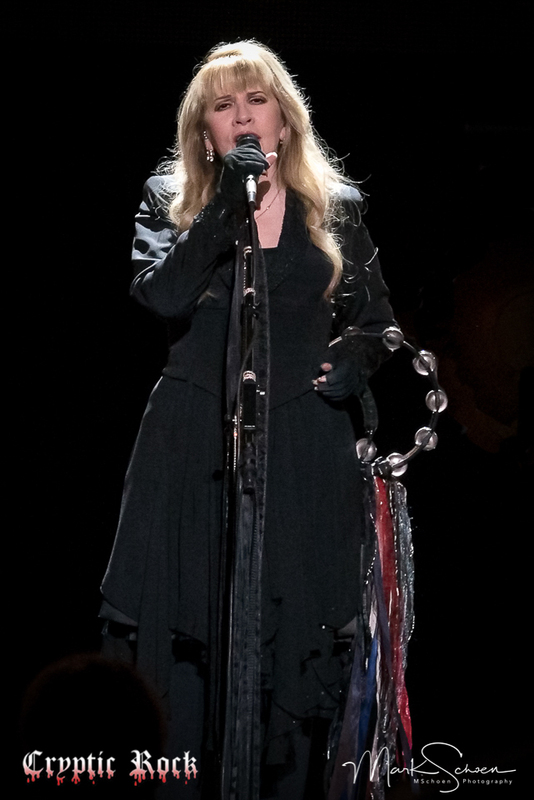 A heartfelt moment, the show continued as “Belle Fleur” led into Fleetwood Mac classic “Gypsy,” before more Nicks early solo cuts including “Wild Heart” and “Bella Donna” back to back. 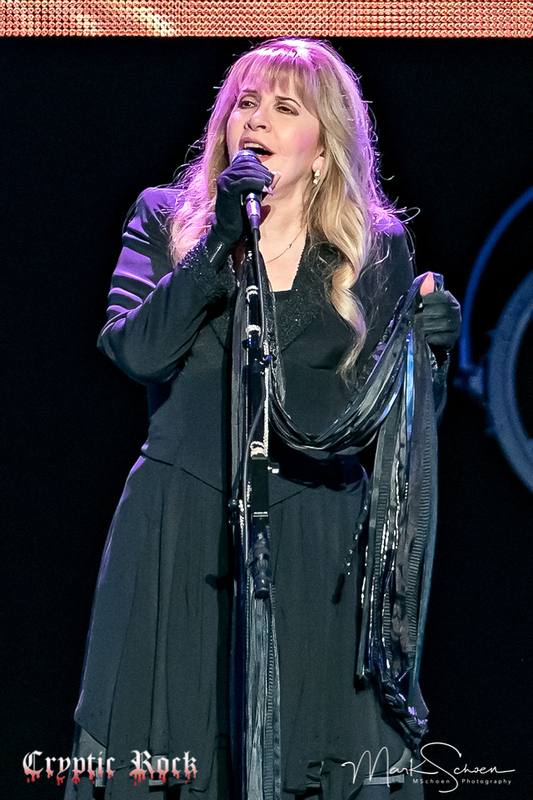 From here Nicks provided more personal recounts of her life, further talking about her admiration for Tom Petty and The Heartbreakers, her collaboration with the late great Prince, providing to herself that her solo career was legitimate, and her modest upbringing. 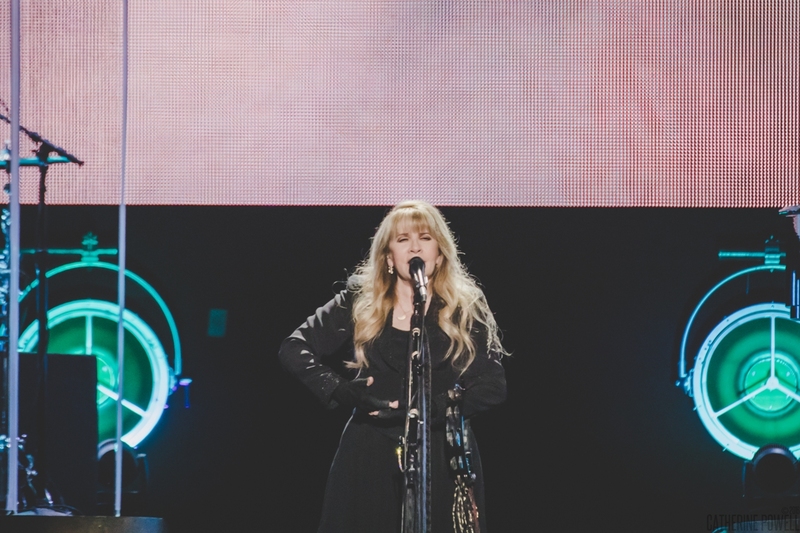 Painting pictures with words, Nicks provided the audience with insight to her experience joining Fleetwood Mac and how her life was turned upside down, literally going from a beat up Toyota that could not go in reverse to a limousine. Matching her stories with careful chosen images to display on the screens behind her, it felt more like a meeting between friends sharing memories, or even that of a personal one on one interview. 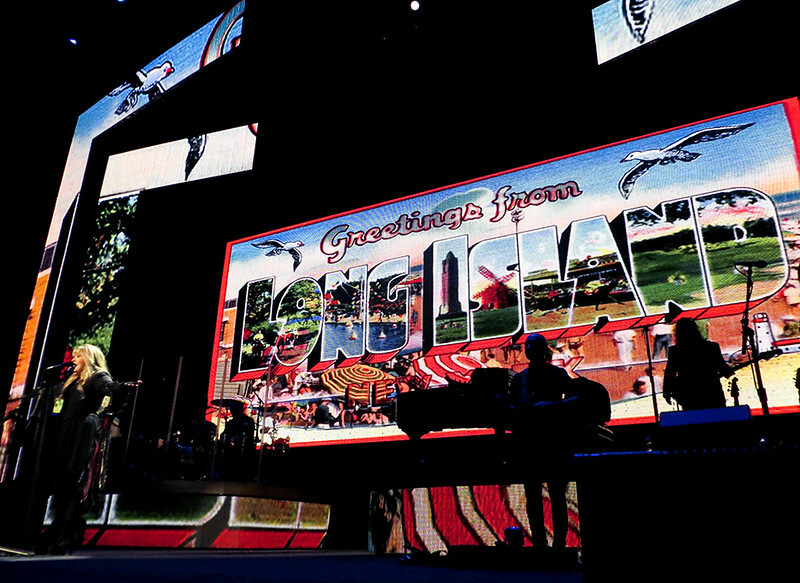 An evening filled with enticing conversation and enchanting music, this was not an average concert by any means. 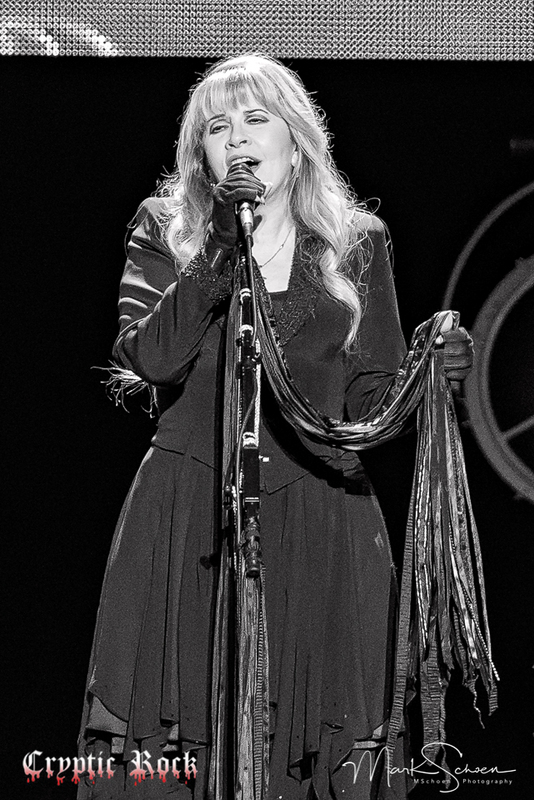 While some may find the extensive storytelling a bit drawn out, most throughly enjoyed the rare privilege to get to know Stevie Nicks on a more personal level. 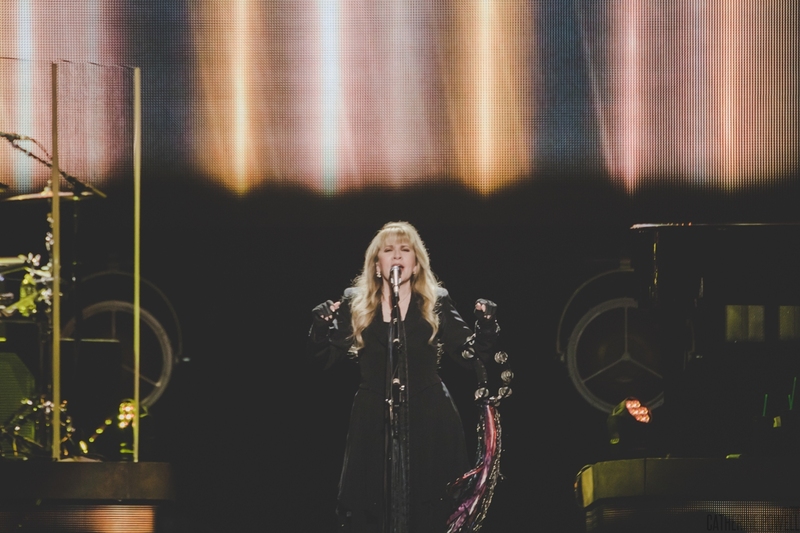 It takes a great deal of courage to open one’s life up in such a fashion as Nicks did on the 24 Karat Gold Tour, and she did so in a forthcoming and sincere way. 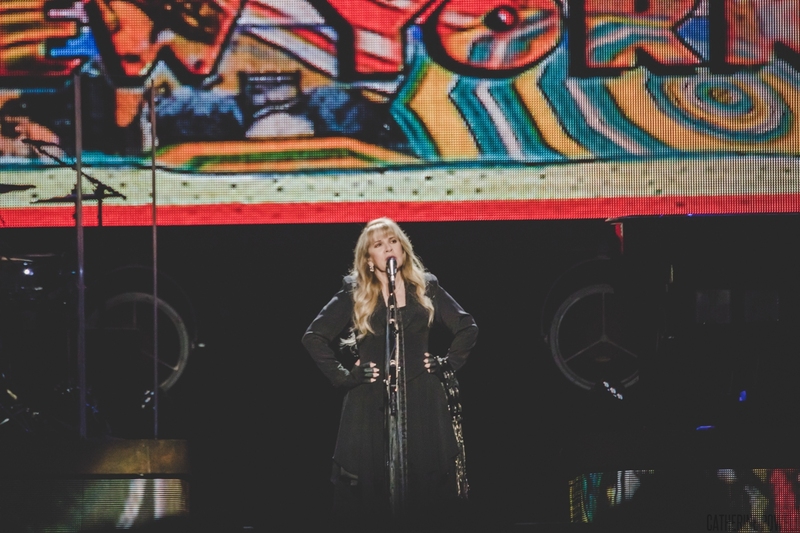 Think a musical autobiography live and you have the wonder that is the 24 Karat Gold Tour. 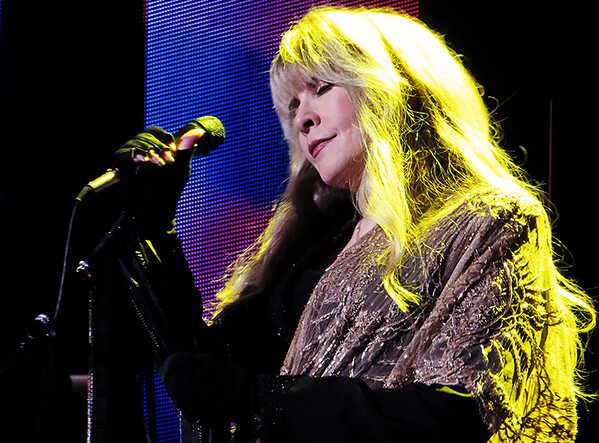 While the dream is over, knowing Nicks, there will be something else magical lined up sooner or later. 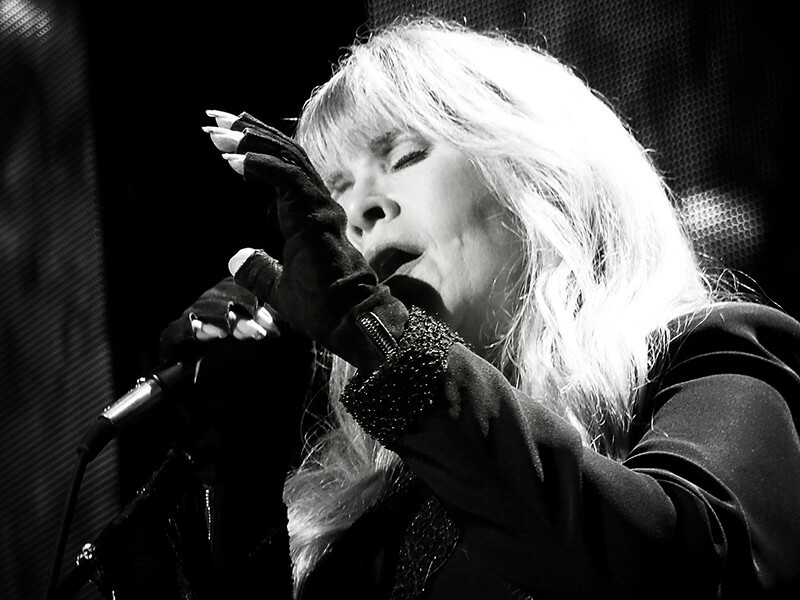 It’s no secret that Stevie Nicks is one of the best in the business. 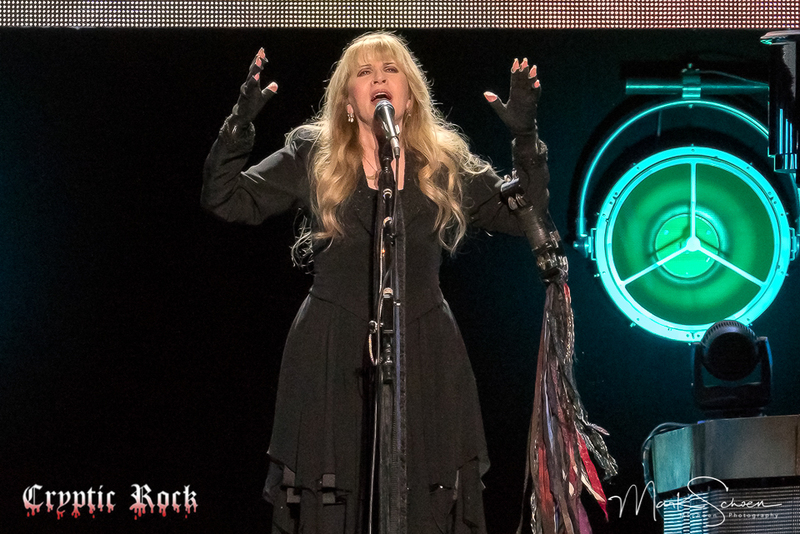 The music icon plowed through an impressive 18-song setlist at her tour-closer at the newly reopened Nassau Coliseum on Thursday, complete with solo tracks and Fleetwood Mac songs. 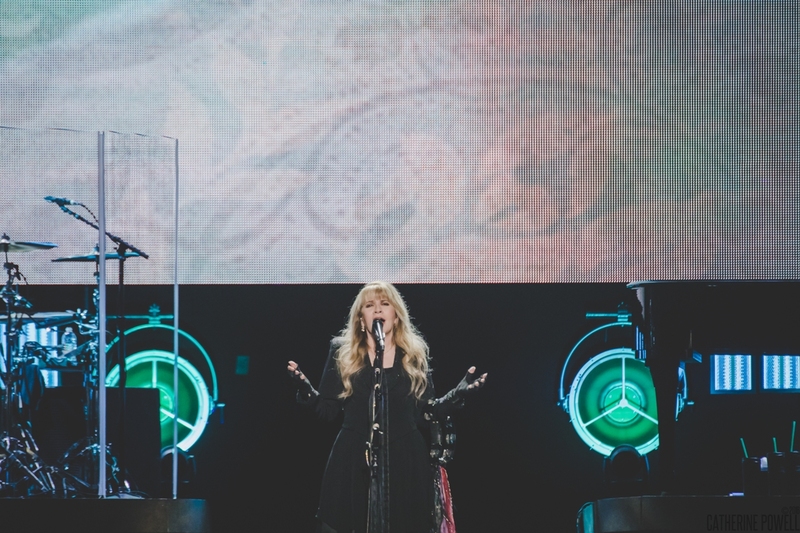 Stevie’s tour stretched for 48 shows and the singer will be taking a break before heading back out, but fans who made it to this past tour got to experience one of the most unique shows Stevie has ever put together. 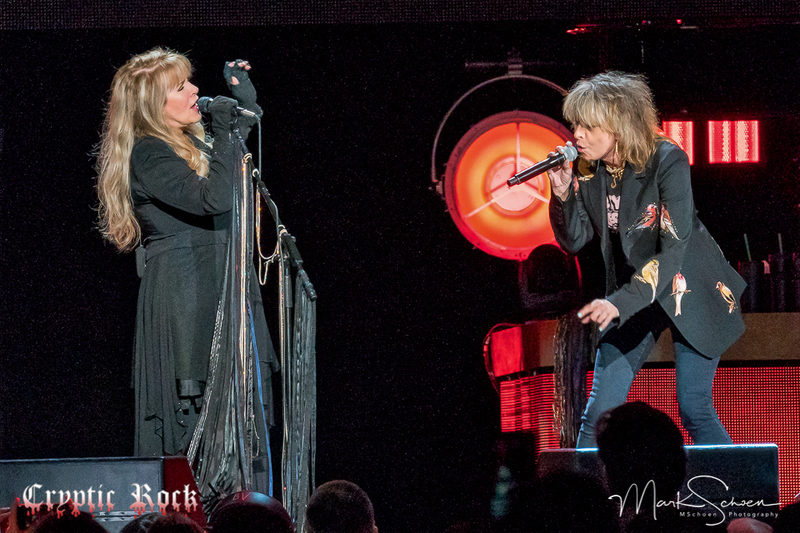 Check out some photos from the show!